Rio Ferdinand enjoyed 12 trophy-laden years as a Manchester United player, but the idea of returning to Old Trafford as a member of Louis van Gaal’s backroom team doesn’t appeal to him in the slightest. 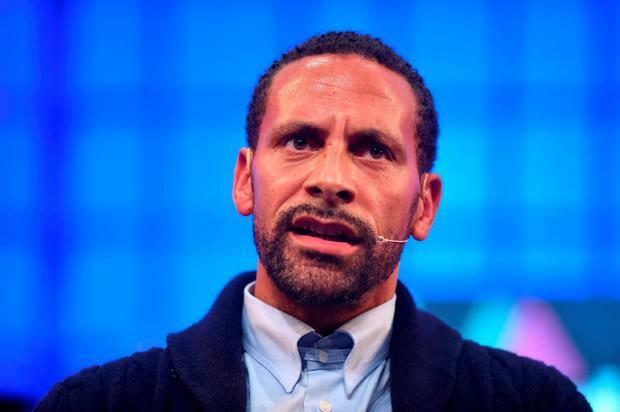 Ferdinand was among Alex Ferguson’s most trusted lieutenants after the turn of the century, and led United to a Champions League in 2008 before leaving the club in less than favourable circumstances following the disastrous tenure of David Moyes. Like many of his peers, the former West Ham standout moved into television upon his retirement, and is now a member of the BT Sports team. Different to some of his old teammates, such as Paul Scholes and, to a lesser degree Gary Neville, Ferdinand has not been particularly critical of the conservative style of play employed by van Gaal. Though, when asked if he’d swap places with the Dutchman’s assistant Ryan Giggs, the ex-centre half pulled no punches. Having witnessed the tireless persistence Ferguson used to steer United for over a a decade, Ferdinand was reluctant to take on such an undertaking so soon after hanging up his boots. “It’s a different lifestyle being a coach with the hours you’ve got to give. As a player, you wake up in the morning, get to training at 9 o’clock and be home by 2 o’clock and disconnect until the next morning. “As a manager or a coach, that connection is forever. You eat, sleep and drink thinking about coaching and training sessions, diet, injuries, squads; it just goes on and on. As of now, the analysis booth will suffice, but that might change in the years to come. “I love the punditry, and you can learn a lot doing the punditry and it can stand you in good stead for when you decide to go into management. “I’m doing my (coaching) badges and, after, if the right opportunity came along I’m sure I’d think about it quite seriously,” he said.